2014 Children’s Picture Book of the Year, awarded by the Association of Logos Bookstores. Can You Tell Me about God? Can You Tell Me about Jesus? How Can I Show God I Love Him? 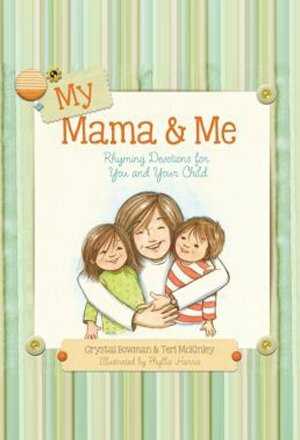 At the 2014 International Christian Retail Show in Atlanta, My Mama and Me by Crystal Bowman and Terri McKinley, illustrated by Phyllis Harris (Tyndale) won Children’s Picture Book of the Year, awarded by the Association of Logos Bookstores.